How long did you sit in traffic on your way home from work tonight? 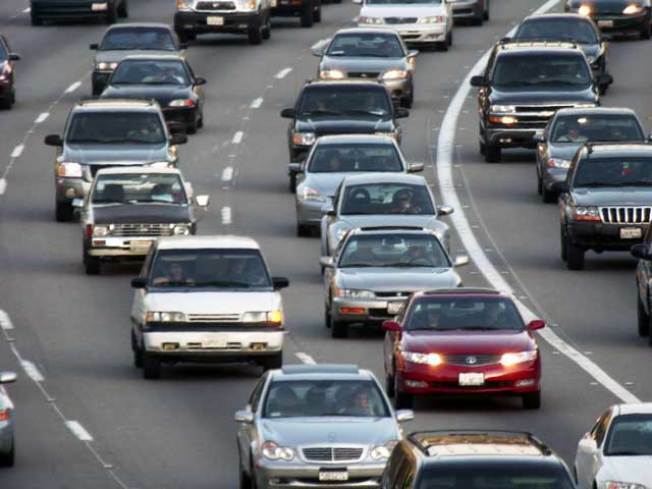 If you were anywhere around a Bay Area highway with the numbers 8 or 0 in it (580, 680, 880, 80), you probably saw more brake lights than you'd like. While many drivers will give you antecdotes about traffic has been lighter in recent months and years because of the lag in the economy, a group who studies the matter as a science says while it did loosen up during the height of the recession, roads are snarled once again now that people are returning to work. According to the Texas Transportation Institute, the average American spent 34 hours in traffic in the last study year of 2009. The Bay Area is at the top of the list and that makes our wasted hours closer to 70 hours a year. The dollar amount from all that slow driving is $115 billion annually or about $800 per driver. And yes, the Bay Area is among the worst in the country. "You could think of that as a congestion tax. The amount of extra time your sitting on road, the amount of extra fuel you have to buy cause you're sitting in stop and go travel," Tim Lomax with the Texas Transportation Institute said. Congestion costs continue to rise: measured in constant 2009 dollars, the cost of congestion has risen from $24 billion in 1982 to $115 billion in 2009. Cost to the average commuter: $808 in 2009, compared to an inflation-adjusted $351 in 1982. Yearly peak delay for the average commuter was 34 hours in 2009, up from 14 hours in 1982. The only good news is that as the traffic gets worse, it is a clear sign the economy is getting better.